The objective of the Straube Foundation is to show how anyone anywhere can obtain quality education at little or no cost. 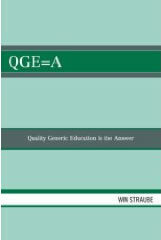 A blog at www.straube.blogspot.com deals with the resulting issues, including the subjects covered in the best selling book “QGE=A Quality Generic Education is the Answer” which started this discussion. Your participation and postings are invited. this limited edition 444-page book, complete with 134 photographs, maps and illustrations,Win Straube takes us along on his fascinating life’s journey. Beginning with his teen-aged survival of the bombing of Dresden, to his escape from behind the Iron Curtain, through a series of business and personal successes and a full life in Hawaii,Win Straube describes a remarkable life and imparts lessons for us all. From saints to sinners we may all find that within our roots we are all interconnected in some way shape or form, yet find ourselves separated only by time and distance. The time was 1929, the place was Dresden, an idyllic place on the river Elbe. It was then and there that a child was born to Herbert and Frida Johanna Straube. On the 13th of February, 1945 bombs began to descend on Dresden. All hopes and dreams began to disintegrate along with the buildings. Young Win, the boy born into this land of plenty, the pride and joy of the Straubes, was not destined to face an idyllic and carefree life as his boyhood dreams began to shatter before his eyes. The charred remains of a naked women laying before him in the rubble in the aftermath of the bombings changed his life forever. From bad to worse so began the travails of an adolescent boy. 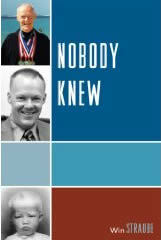 In a personal documentary, Win Straube tells us the story of his remarkable life in I don’t know where I am going but I am Enjoying the Ride. In an easy narrative style the author allows us the privilege of sharing his life and that of his lovely endearing wife, Hildegard. We are able to catch glimpses of the author’s life from the death of his beloved father in the Mülberg concentration camp, his job as a glass blower at Riedels, his escape to West Germany, interpreting for McArthur, numerous successful business ventures, right on down to the skeletons in the closet and his personal health data. It was and is a life, a life worth living and a life worth reading about. If as a reader you are looking for “fine literature” you won’t find it in this book, however, if you are looking for the spirit of a fine and gracious human being you have come to the right place. Often times I find myself delving into a biography only to find disappointment with the subject matter, but if Win Straube were my neighbor I’d invite him to dinner to tell me the “rest of the story” as this one is a wonderful life. Ho`omaika`I to this author! Enhanced with the addition of an accompanying CD “Music of Hawaii”, I Don’t Know Where I Am Going But I Am Enjoying The Ride by Win Straube is the inspiring tale of one man’s remarkable exploration and full-pursuit of what life has to offer. Carrying readers through an inherently interesting and well written 444-page autobiographical account which is enhanced with 134 photographs, maps, and illustrations, Enjoying The Ride begins with the story of his escape and evasion of the bombing of Dresden at a young age, and continues as an extensive compendium of not only Win Straube’s life, but a complete and thorough creative understanding of his ancestral heritage and the accomplishments of his family. 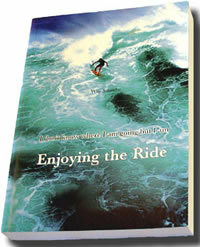 Enjoying The Ride is very strongly recommended reading the truly remarkable story a man, a family, and a lineage. Is the purpose of life the end result or is it enjoying the journey? Win Straube will entice readers to come to this question on their own with his book “Enjoying the Ride.” Readers will feel as though they have made a dear friend or perhaps been introduced to a distant, yet friendly relative. Beginning with the roots of his life and ending the book on tips to enrich your own, Straube tells the tale of who he is, who his family is, what the world is like from his perspective, and so much more. With vivid detail of the bombing days of Germany, the massive struggles afterward, his coming to America where the Statue of Liberty welcomes the tired and poor, building a business in Canada, and building a life with his wife Hildegard, Straube passes on the stories that we all should learn from. To have this history is an intense thing, to share it with the world is his legacy, and he has done it well. Written in such a friendly tone, the book is an ease to read. Pages will be turned in effort to learn more of first hand history, romance, life lessons, and personal thoughts. Readers will become immersed in the mind of a man who is the portrait of the American Dream. I’ve come away admiring Win Straube and I am sure countless others will too. This well written autobiography is a gem. Win Straube shares his life, and even his current pleasure in Hawaiian music with the CD that comes with the book. Who could ask for more from any author? Win Straube provided it all – three books in one with history, ancestry, inspiration, adventure, romance, and personal accounts. He also provided a CD with lovely Hawaiian music to listen to while the reader pursues the book. Taking all this into account the reader becomes one with the story, often feeling as if it is his/her own life that they are reading about. Straube explains “Life was never the same after the bombing.” After reading the prelude to that statement I, as a reader, couldn’t help but take a moment and reflect on the experience this young teen must have hadknowing that hundreds of thousands of people perished during the bombing, including many of which were his classmates. This is just the beginning. Straube’s well written book is a page turner in the sense that he hooks the reader to finding out the next step in his life. Thus the journey takes him through the escape to West Germany, going to the United States, “the land where milk and honey flow,” and on to Ontario, Canada where he builds a business, as well as his life in Asia and the Pacific Rim. He touches on the death of his 43 year old father in the Mulberg concentration camp, his escape to West Germany, his successful business ventures, and up close and personal accounts of his life and relationship with his wife, Hildegard. Straube’s comment “when God created man and woman, He didn’t guarantee retirement” is so agreeable. He feels that there is no in between life and death, that we “either live or die” and if there were an in between itcould possibly be called retirement. Straube further states that “retirement means having given up on the pursuit of making a living and/or partaking in the challenges of life. Retirement means being passive, having things come your way, not being active, creating and giving.” Yes, Mr. Straube I so agree with you. It’s such a pleasure to read about a man’s life, regardless of his joys, successes,trials and tribulations, who is not ready to give up on life. He is a youthful age of 77. Certainly a diamond, Straube’s “Enjoying the Ride” is a book that will give you the whole gamut of emotions with tears, laughter, surprise, contemplation, and an opportunity to look at one’s own life and reflect on thejourney that has taken place. We all have a book inside us and may this book be an inspiration to bring your story into light. The movie is made available to TV stations free of charge by the Straube Foundation in its endeavors to supply education to more people at no cost at all or minimal cost only. The Straube Foundation gives permission to use it in total or part as many times as the recipient wishes and/or to share it with others. For more information, send your e-mail to info@straube.org, reference: DVD Tai Chi Win. Tai Chi is an ancient Chinese discipline of meditative movements practiced as a system of exercises. Gentle deliberate movements refresh the body, revitalize the spirit and clear the mind. Tai-Chi improves the blood circulation, strengthens the cardiovascular system, massages the internal organs and supplies the entire organism with life energy. For the mind, it teaches concentration and visualization techniques. Both a self-defense system and a moving meditation, Tai-Chi develops peace and harmony in its practitioners. The Tai Chi Win classical form of 150 movements is the ancient Chinese way to health and longevity.